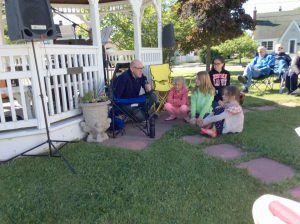 During the summer, the worship service takes place in the Gazebo located in the church yard. Bring your lawn chair and enjoy the beauty of the season as you gather to worship. The dates for 2017 are June 11, July 9, August 13 and September 3.